The Saturday Storylines event at the Hastings Storytelling Festival went well in the end. There were four of us storytellers, all with differing levels of experience. We had the morning and afternoon to hone the pieces with the help of Chrissie, a writer / theatre director, and Jamie, a professional storyteller. My piece – a ten minute story about a father and son (no surprise there) – went through several iterations. I didn’t write down the piece beforehand: I know that storytelling is an oral tradition and wanted to honour that. It also took me out of my comfort zone, which pleased the masochist in me. I hadn’t realised that traditional storytelling is quite reserved and subtle. My ‘style’ is fairly histrionic (it’s harder to hit a moving target). I did manage to pull it back through the day, but it was still quite dynamic in performance. The venues for the promenade evening performance were superb. A Second World War sea mine on the street, an atmospheric artist’s studio, the Shipwreck museum and, for me, the Fishermen’s museum. I’d loved to have seen Joe, Dave and Roisin perform their pieces to an audience but I was busy giving four performances of my piece to the promenaders. The audience and I were on the deck of a fishing boat in the museum hall. It was pretty well received I think. Thanks to the venues, MSL Projects, Margaret Sheehy, Jamie Crawford, Christine Harmar-Brown, Jane Bruce, Kate Francis, Nikki Tomsett, Hilary Lane and Suzan Aral for a great day. I’ve managed to locate and buy a baker’s peel in a local antique shop. I’ll be using it in the story of the paindemain loaf at the castle. At last, a prop I can really lean on. 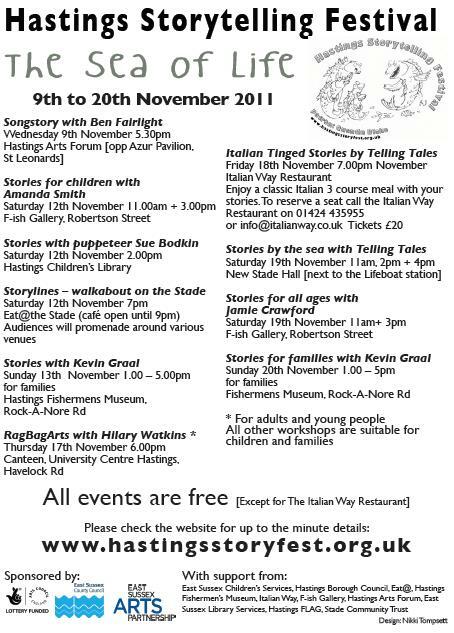 I’m going to be performing at the Hastings Storytelling Festival on the evening of Saturday 12th November. I applied for a workshop and I got in. It’s a bit of a surprise but I’m hoping that my interpretation work at the castle will help me get through it. 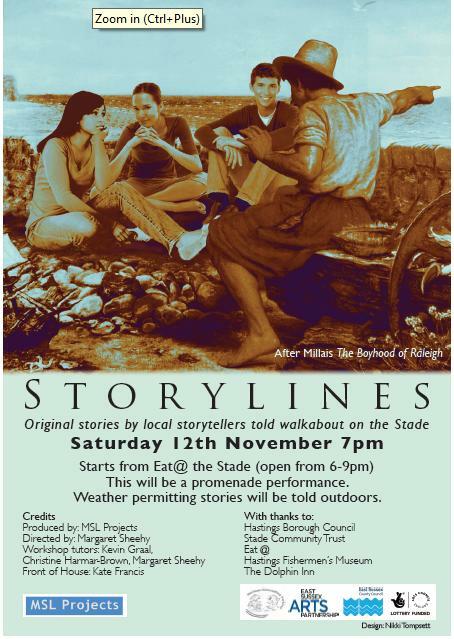 It’ll be a 10 minute story which people will see as part of a promenade around venues on the Stade. 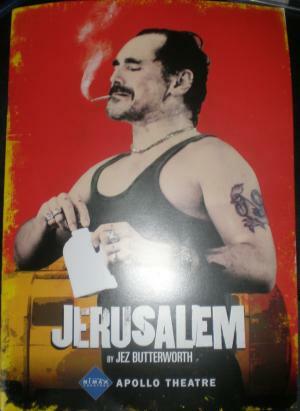 Should be fun.